A beautiful lake, surrounded by one of North America's largest mountain ranges, makes South Lake Tahoe one of the most exciting resort destinations for skiing. 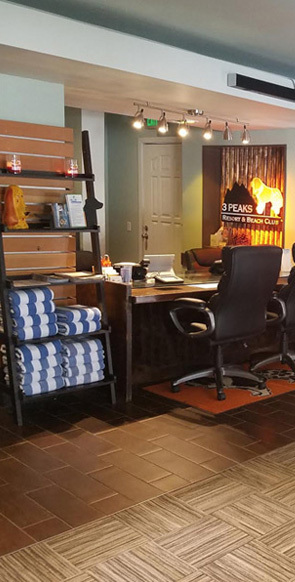 If you are visiting Lake Tahoe for skiing, snowboarding, mountain biking, or just to sit back and relax, we don't just help you choose the best places to go, we also offer you the best Lake Tahoe accommodations. For information regarding environmental management activities the Lake Tahoe Data Clearinghouse offers a wide range of digital data and a geographic information system. You can search for local community information on the City of South Lake Tahoe website and look for their events calendar, government services , business info and library listings. Geographically, Lake Tahoe Community College is the highest altitude college in California and you might want to check out their Library as well. For local news read the North Lake Tahoe Bonanza, bringing you sports, weather, classifieds and comprehensive real estate listings. If you want to know more about the weather, you can check our live Tahoe Webcam and also see their photo gallery with incredible cloud formations from the mountains. Lake Tahoe has plenty of exciting things to see and do. There are lots of outdoor activities and sports to enjoy so you might want to look into Car Rental services to take advantage of what the city has to offer. Discover Lake Tahoe Tours offers tours around the lake, white water rafting, horseback riding and many other tours and activities. Or if you are looking for a water route, the Lake Tahoe Water Trail provides an opportunity for kayakers and canoeists to paddle around the Lake. In case you want to explore the lake by yourself, you can rent or buy boats on Boats.com. Lake Tahoe with its hundreds of trails and peaks is paradise for those who want to hike or bike and the guys from the Tahoe Trips and Trails can help you with everything you need for this adventure. South Lake Tahoe has some of the best snow you will find anywhere, so take some skiing and snowboarding lessons with the Ski Heavenly experts and have fun. But if you are not feeling adventurous you can take a gentler golf course vacation at take advantage of the fine courses in and around the Lake Tahoe area. For an added touch of luxuriousness, rent a cabin and relax in a luxury home surrounded by tall pines and beautiful views. And while you do that, take your kids to the Sierra Mountain Music Camp where they can play and do fun camp activities like campfires, swimming, dancing and hiking. For cultural entertainment, don't miss the Shakespeare Festival, one of the greatest Lake Tahoe annual events. Also, the Tahoe Music Festival has live entertainment and activities for the whole family. The next time you are going on vacations with your family remember to checkout some of the great resources that can help you find the best deals. Come experience the many different sides of Lake Tahoe, the perfect place for your vacation! We hope that you have enjoyed the resources provided here from the 3 Peaks Resort Hotel and Beach Club.